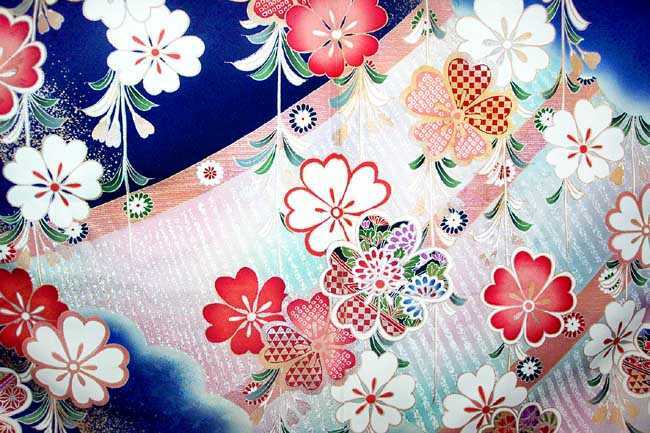 The unusual length and the elaborate decoration distinguish a Maiko kimono. The Maiko the title given to a young woman who is learning to become a Geisha. She is a Geisha in training. Their elaborate clothing is a hallmark of their status. This gown is made of fine rinzu silk that has been decorated in hand painted motif of ornate cherry blossoms. 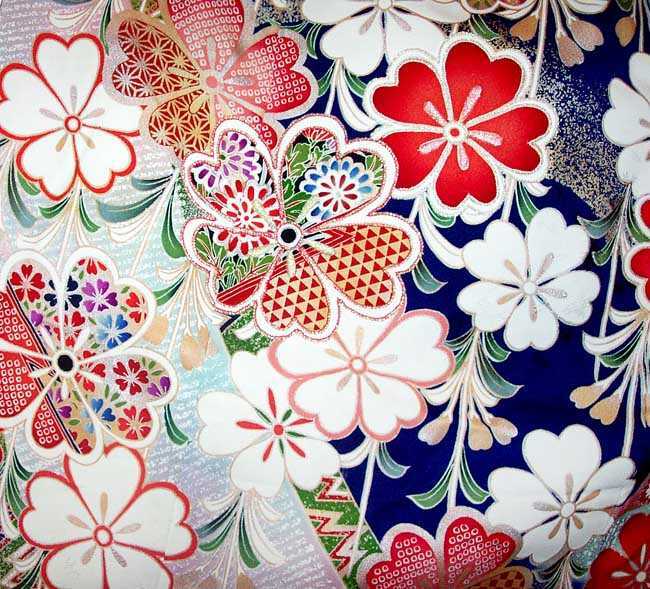 The damas pattern is of wild carnations. 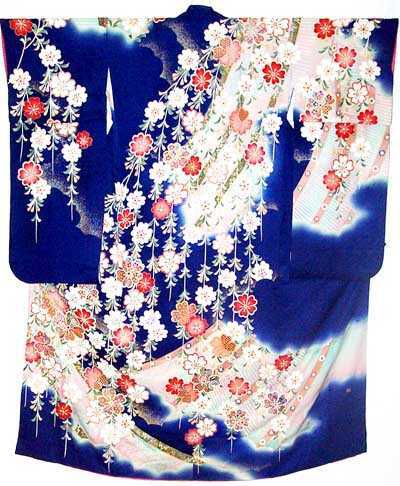 The kimono is gradation dyed cobalt blue. 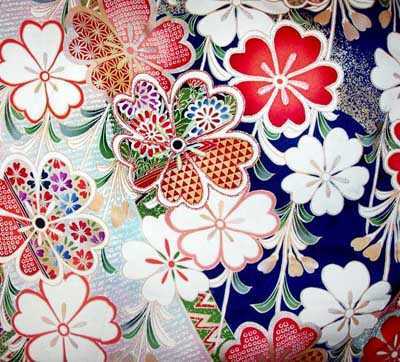 The yuzen design is multicolored. Extensive use of silver and iridescent cording makes the design shimmer in the light. The unusual length of the gown (68inches) is to accommodate the Pokkuri, platform shoes worn by Maiko. The gown is a collectible item. It is fully lined. 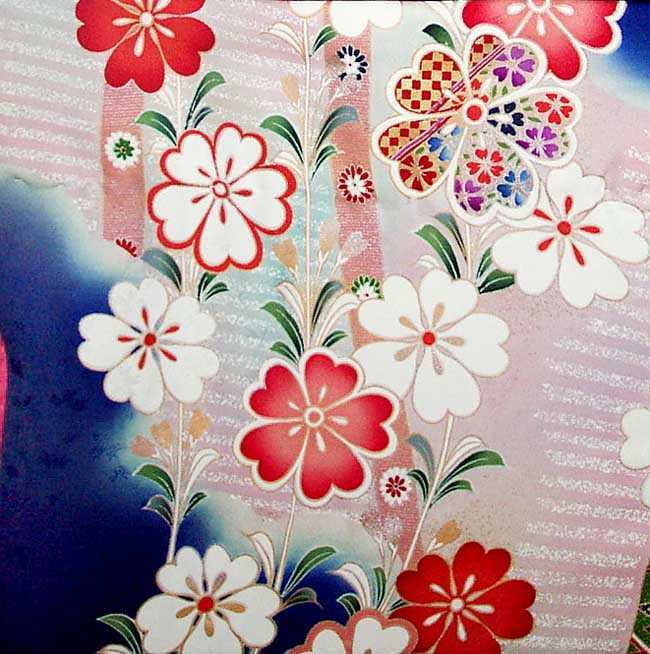 The silk lining is treated in pink Bokashi. This is a technique of dip dyeing the inside hem of a kimono. We purchased these Maiko kimonos from the owner of the Maiko Dressing Service in Kyoto. 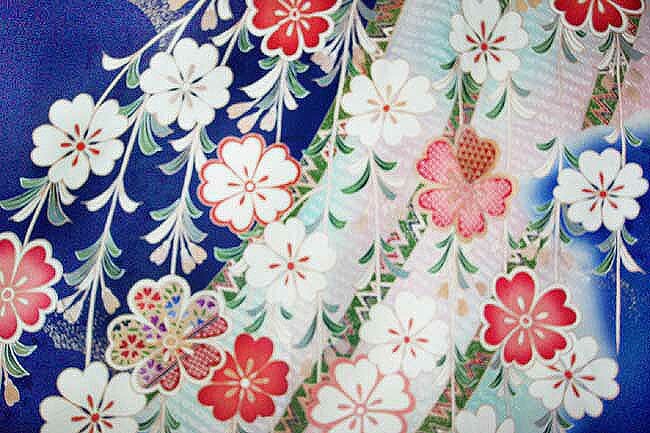 The kimono has some wear-related stains but the design hides them well. 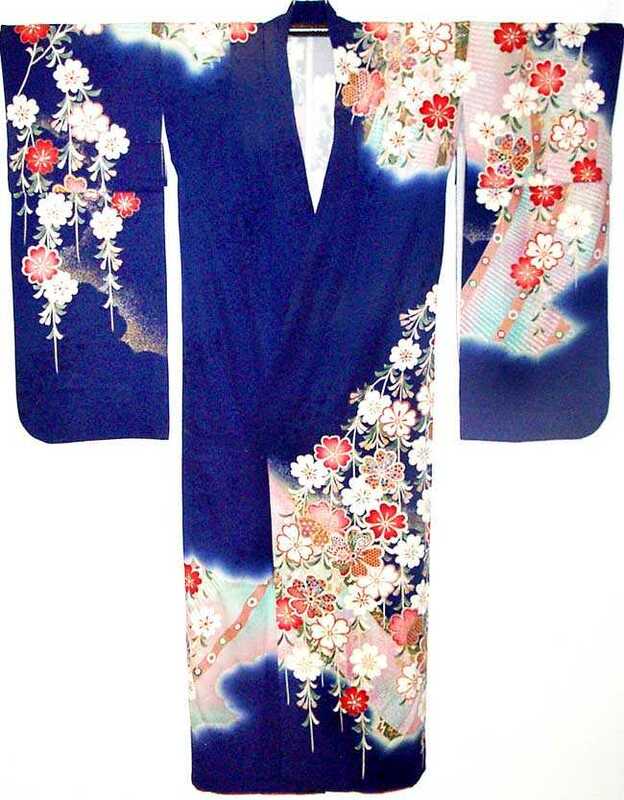 Maiko Kimono dimensions: 50 inches wide from sleeve tip to sleeve tip and 68 inches long from shoulder to hem. The sleeves are 36 inches long.